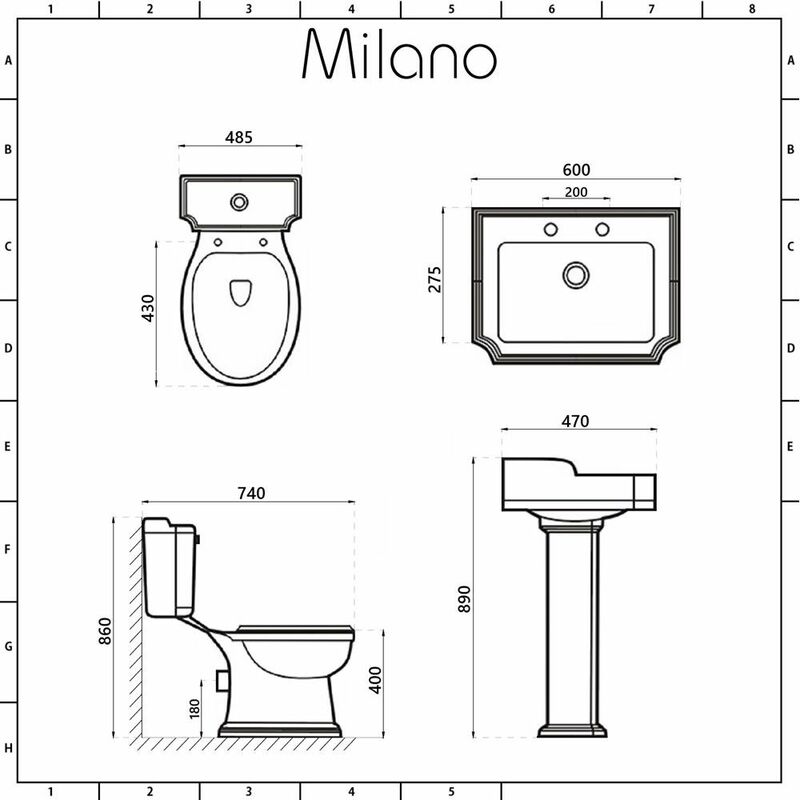 Add class and elegance to your bathroom with the Milano Windsor basin and toilet set. 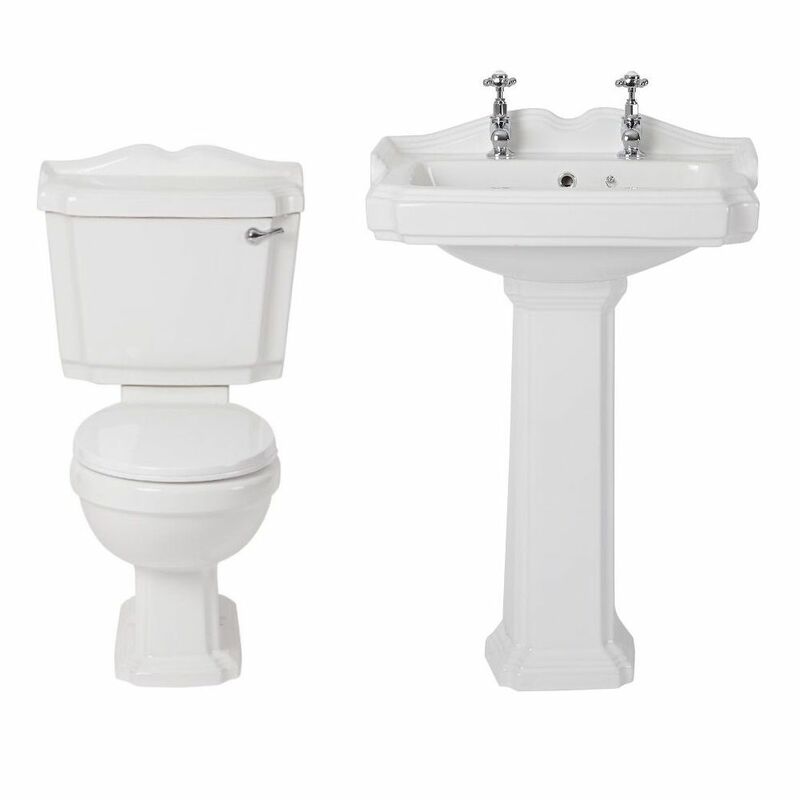 A great option for those who love traditional style, the basin and toilet set is sure to create a look that will stand the test of time. 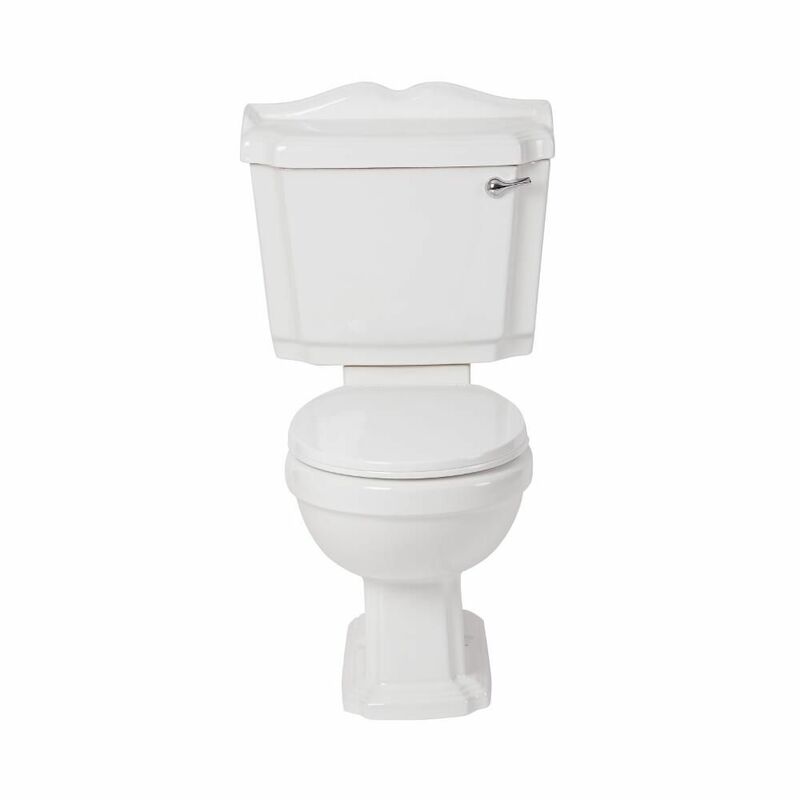 Incorporating plenty of wash space, the floor-standing Windsor basin comes complete with the full pedestal, which conceals unsightly pipework. 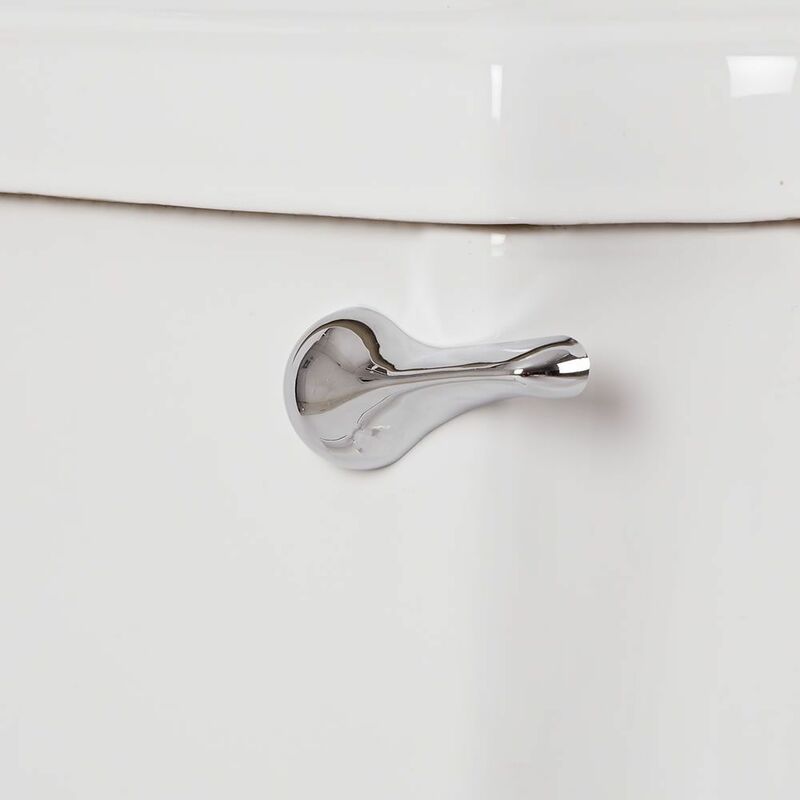 The matching close coupled toilet includes the seat and a 6 litre flush cistern with fittings and chrome lever. 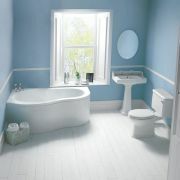 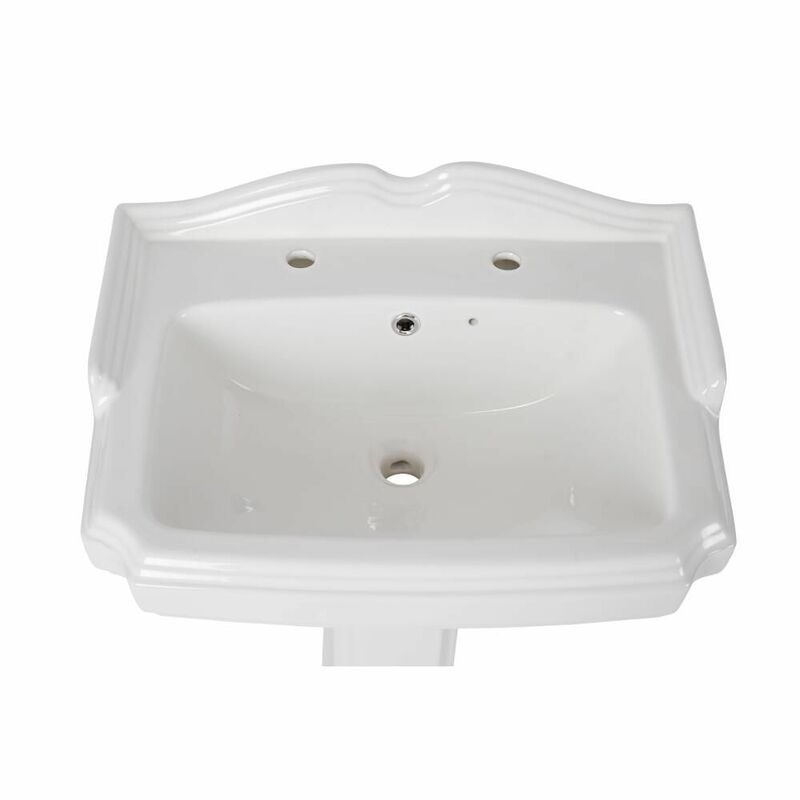 Both the toilet and basin are made from premium quality ceramic with a hard-wearing easy to clean white glazed finish. 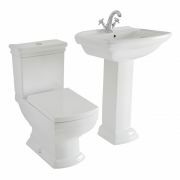 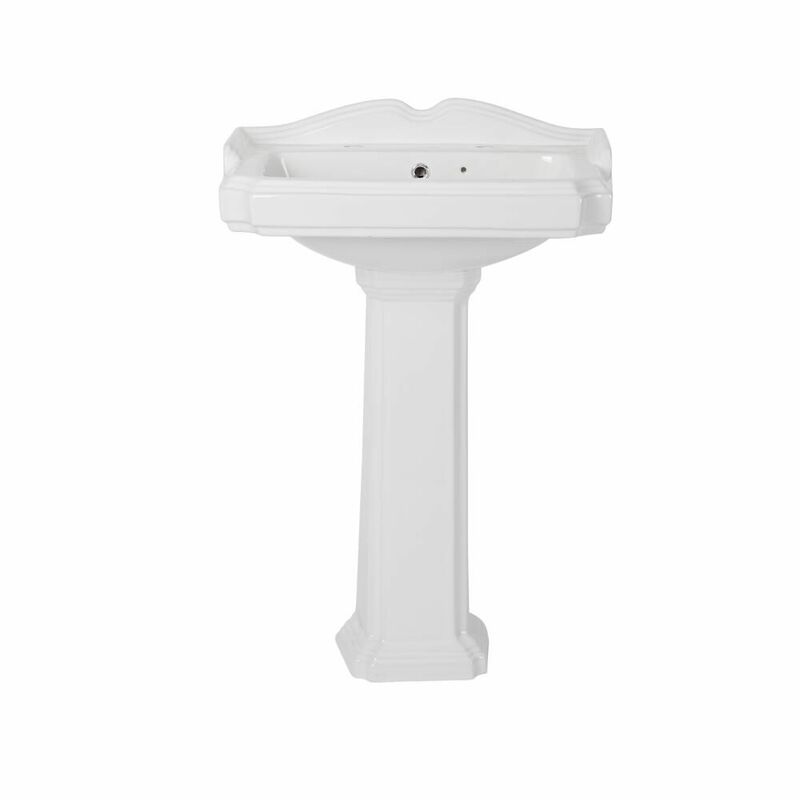 The basin has two tap-holes, so why not choose from our range of traditional basin pillar taps to complete the look? 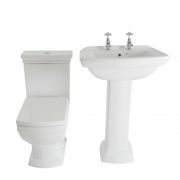 Please note: taps, fixing kit, trap, waste, pan connector and pan fixing kit not supplied - see our recommended essential products above.